AtGames Sega Genesis Ultimate Portable Game Player | Binary Messiah - Reviews for Games, Books, Gadgets and more! I am having the same problem with the SD card software and am curious which partitioning software you used, or if it matters, and which FAT ended up working. If it does matter, can you provide a link? thank you. Any partitioning software should work. It’s a problem with the system’s firmware or they used a bad SD card reader. There are free ones online. I actually forgot which software I used. Use FAT16 and The audio and much more has been fixed. View in Google Chrome to translate. A new Menu Loader that hacks or corrects the FireCore Sound code in the FireCore Sega Genesis based emulators and it can be loaded from the SD card on most systems. Sound is now almost 90% perfect. A quick English guide how to setup. 1. Create the required folders on the SD Card. 2. Copy the most recent “MDI.bin” file to the Game folder. —MDI.bin has been renamed to “Neto Loader.bin” in the example. 4. Create the required folders on the SD Card and Copy up to 99 games into each ROM folder. 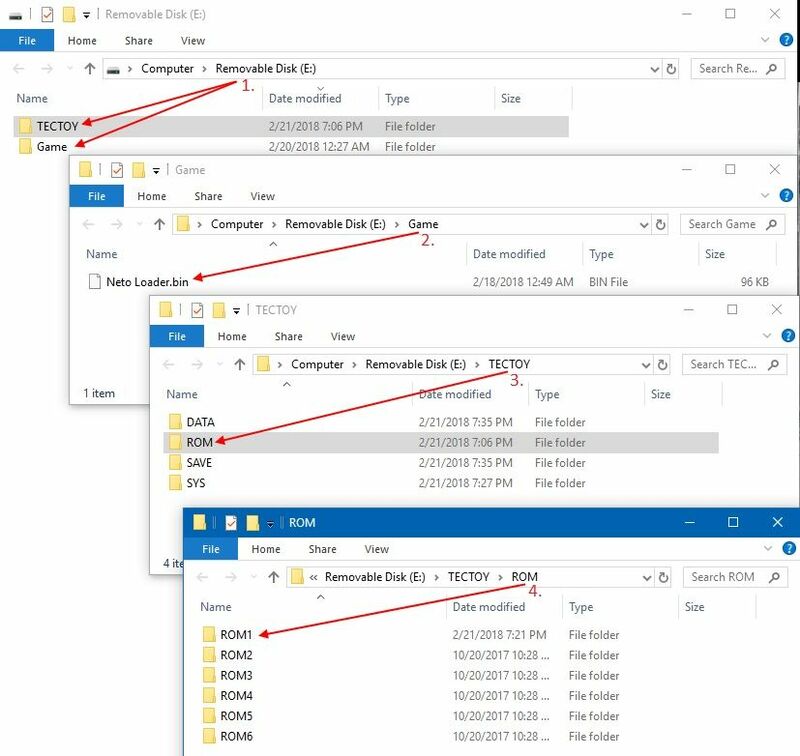 There can be up to 16 ROM folders. I will add this to the review page and test myself. Thanks. can you remember what FAT worked? I have the 2015 White model build #726 2015/3/06 (Hold A+B+C+UP while turning on to see version). and the sdcard.org software worked for a SanDisk Ultra 8gb SDHC I (10) and A standard Kingston 1gb microSD w/ adapter. I’m running windows 10 home, creators update. Also, everything mentioned in “happy’s” post works with my model. The neto boot loader is impressive and well maintained, a must have.